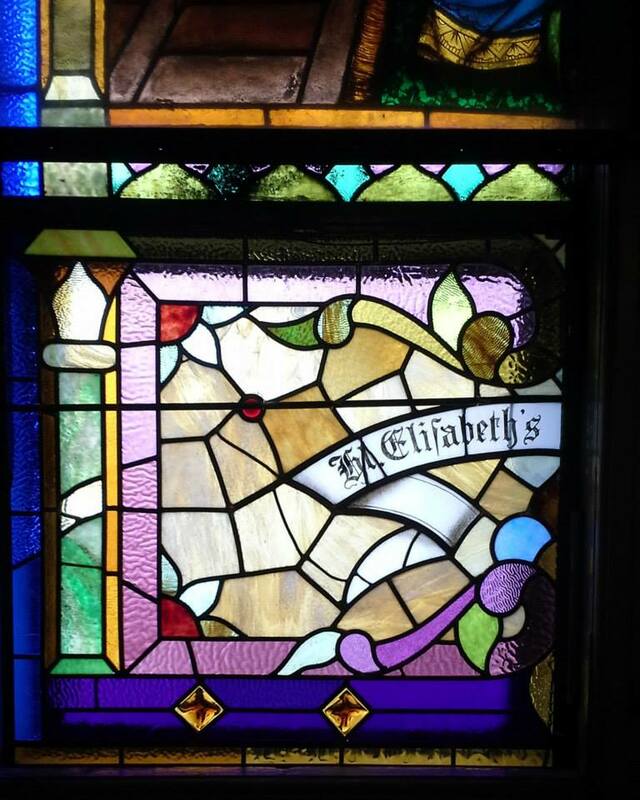 Our goal is to produce glass art that looks good, fits well, and is built strong. Free hanging glass or 3-D pieces can be displayed anywhere. However, installed glass panels will need verification that the framework will hold the glass safely and securely. Cabinets, doors or operable windows must have the mechanisms to operate smoothly with the additional weight. Ideally, dimensions are determined on-site, but long distance measurements can be worked with as long as a guarantee of size is given. For mosaic work, a builder/contractor will need to be consulted to determine the feasibility of installation and the correct sub-structure for the glass work requested. The first step is to meet in person on-site, but we can work via digital images, email and phone calls. We will review existing and surrounding architectural styles, colors and your personal taste and preferences. Ideas and suggestions are welcome, and from that, we will draw up and present at least one or up to three potential designs, including suggestions of type/color of glass as well as any other elements that can enhance the finished product. Once the design is agreed upon, a proposal for the costs, installation and time line will be presented, and when that is signed and returned along with a deposit, work can commence! Each piece of glass art is priced individually based on intricacy of design, glass type or bevels chosen, and any other elements (kiln-firing, sandblasting, etc.) that might be added. 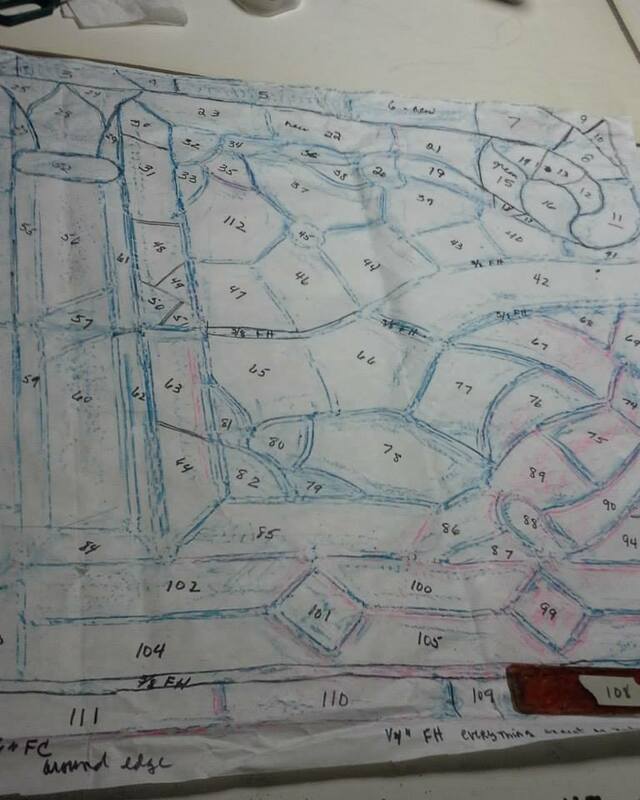 A full size pattern is drawn up. This is a good time to make any changes in the design. Each piece of glass is hand cut and ground to fit within the pattern. 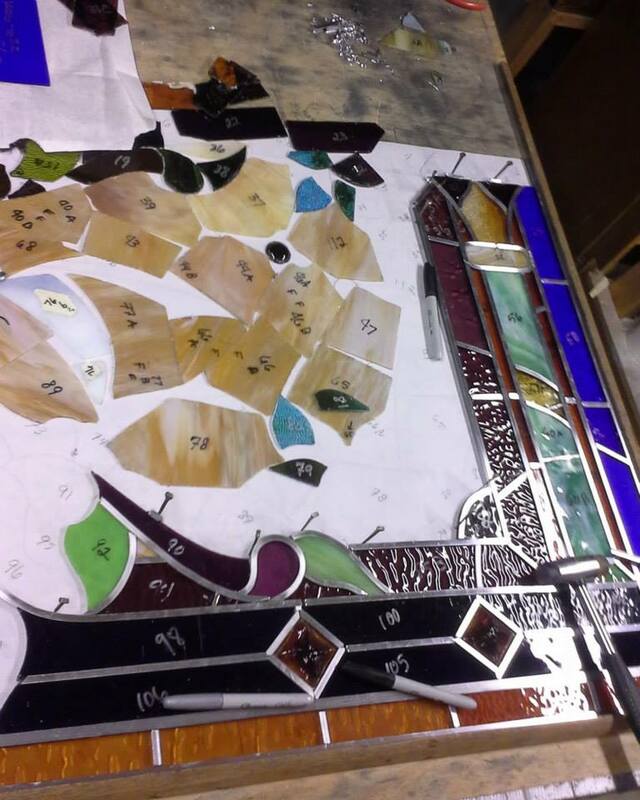 Once laid out, the potential of the finished panel can be seen, and final adjustments can be made. If any sandblasting, etching, painting or fusing is to be added, it is done at this stage. The panel is assembled with lead, zinc or brass came or copper-foiled if pieces are small and intricate, or if this method is called for in the design. For glass mosaics, the pieces are glued down onto a substrate appropriate for final installation, following the pattern and design. 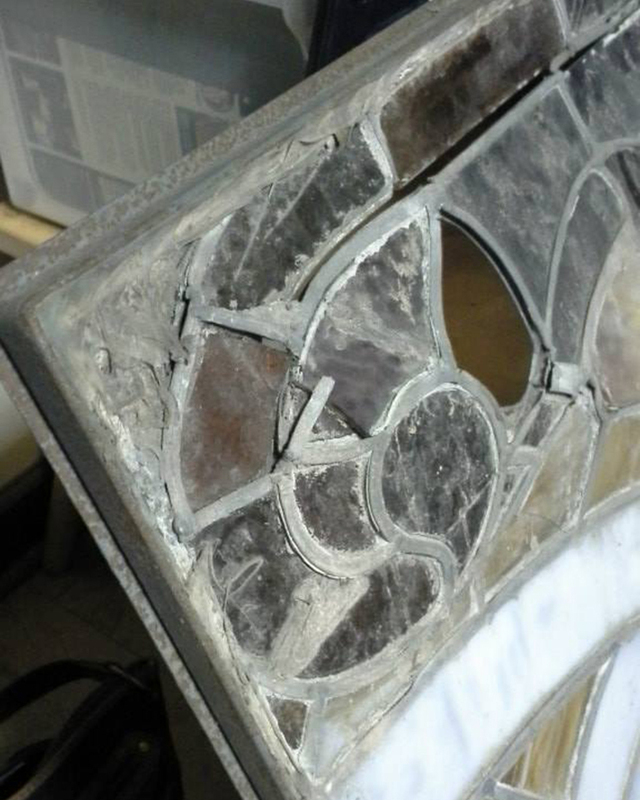 The metals of leaded panels are then soldered together and the completed panel is puttied, cleaned and polished. Mosaic panels are grouted and dried, then cleaned and polished. Finished panels will be delivered or shipped to the job site. We will be on site for installation whenever possible and can provide experienced carpenters for this task if needed.